We’re thrilled to welcome the rain home to the Bay Area. But that doesn’t mean we have to be happy about the problems rain can bring. 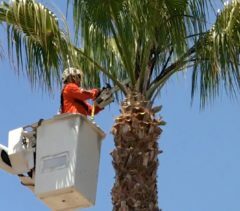 These resources for storm damage will help you prepare for winter rains, stay safe during storms, and clean-up afterwards. Get Started: Here’s what you need to get started. Find: Find a professional to help. Research: Take a deep dive. Make sure your rain gutter and downspout system is ready to flow. Keep your gas tank full when storms are expected. Make sure everyone in your family understands your emergency plan. Being informed is the best way to stay safe this rainy season. With that in mind, here’s what you need to know. While it’s uncertain just how much rain this weather pattern will bring, it’s a good idea to prepare your home for a potentially wet winter. Here are some important steps. 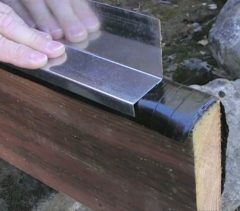 If a tree has fallen on your property, follow these steps to remedy the situation. Devengenzo Landscaping & General Engineering Inc.
OAKLAND — When it comes to drainage, most homeowners don’t realize there are two different types of water that need to be addressed: surface water and subterranean water (also known as groundwater). Furthermore, these two types of water each require specific solutions to prevent subsequent problems. For most properties, the primary source of surface water is rainwater that comes off the roof. While all homes have some form of gutter and downspout system, the downspouts on some older homes don’t properly divert water away from the structure; they just drain directly onto the ground. 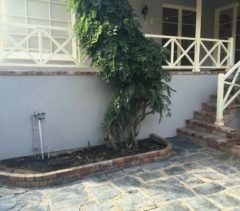 When this is the case, the water goes directly into the soil next to the home’s foundation, which can lead to foundation erosion and settlement over time. To prevent this, make sure all of your downspouts are connected to piping that diverts rainwater away from your home’s structure. Ideally, all of your downspouts should terminate at least five feet away from your home. Another option is to install permanent underground drainage lines that carry rainwater to your yard or the street. Groundwater is water that gets beneath your foundation and, if not addressed, can seep up into your crawl space and basement. A good solution for groundwater issues is what’s called a French drain—a gravel-filled trench with piping that redirects water away from the area. 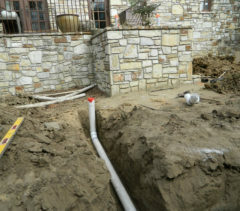 To be effective, French drains need to be dug below the lowest point of wherever your drainage problems are occurring. By addressing both surface water and groundwater, you can develop a comprehensive drainage system that protects your home exterior and foundation from related problems. 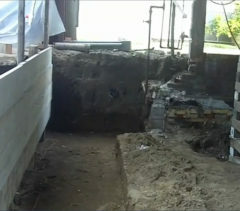 A two-pipe drainage system is designed to pick up water at two levels: above and below the ground. The upper pipe picks up surface water from drain inlets, as well as water washed down from the roof, while the lower pipe is designated for collecting subterranean water. During installation, the lower pipe is wrapped in filter fabric to prevent silt intrusion and then filled around by rock to maximize drainage. Altogether, a two-pipe system ensures water is collected at multiple levels and transported away from the home to the proper outlets. PLEASANTON — If you own a home, you’ll want to take proactive steps to protect your investment. One of the simplest yet most impactful of such maintenance measures is to keep the exterior of your home well-sealed. 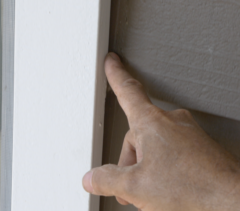 Every home exterior contains gaps, whether in door and window trim or between siding panels. When these gaps aren’t sealed, it leaves them vulnerable to moisture intrusion from rainy weather and exterior washing. The residual moisture from this water intrusion is a common catalyst for the development of dry rot, a harmful fungus that softens wood and compromises its stability. Once dry rot has gained a foothold, it can spread into your walls and flooring, creating potentially dangerous conditions. As if dry rot wasn’t bad enough on its own, it also makes your home more susceptible to termites because they see the softened wood as an easy meal. Considering these potential consequences, it’s important to keep your home’s exterior trim and siding sealed with a high-quality caulk. Make sure the caulk you choose is intended for exterior use and reapply it as needed. 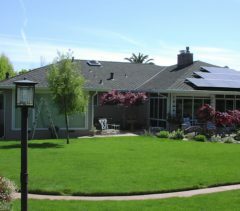 SOUTH SAN FRANCISCO — While water intrusion is a concern with any roof, different roof styles present different areas of concern. Here are two prevalent roof styles and the water intrusion issues commonly associated with them. Roofing contractors will often espouse the quality of a particular type of shingle, but when it comes to waterproofing a steep roof, it’s what’s beneath the shingle that matters most. Due to a steep roof’s configuration, components like flashings, underlayment and leak barriers are vital in protecting against water intrusion. While proper installation of these components can maximize a roof’s lifespan, when roofers cut corners with waterproofing, problems can begin to arise. One common scenario is when a roofer replaces a roof’s shingles but neglects to replace flashings and underlayment, which often results in premature leaks. 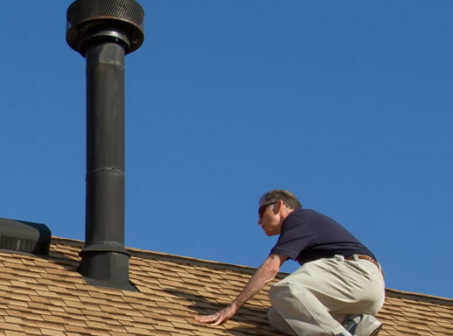 Likewise, citing the moderate Bay Area weather, roofers often neglect to install leak barriers in areas like valleys, skylights, chimneys and roof-to-wall transitions. 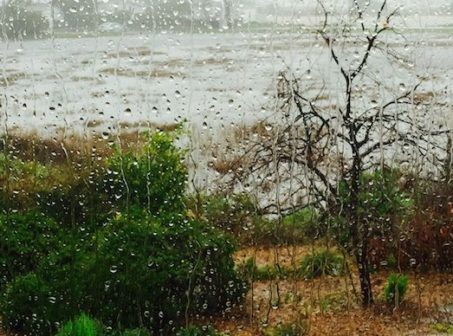 However, while the local weather conditions aren’t as harsh as in other areas of the country, elements such as wind-driven rain can still lead to water intrusion issues in Bay Area homes that don’t have this added protection. Due to the superior technology used to waterproof flat roofs, flashings and other steep roof waterproofing components typically aren’t applicable. However, there’s another water-related concern when it comes to flat roofs: the home’s drainage system. The drainage system of a flat roof home often consists of a single drain that goes through a principal wall and into a downspout, which channels all water that falls on the roof. If this drain gets clogged, it can cause water to back up and overflow inside the home. Even worse, it can create a weight issue on top of the roof and potentially lead to a structural collapse. So, if you have a flat roof, make sure you’re proactive about cleaning your gutters and drains. 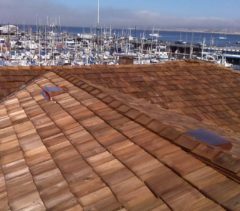 ALAMEDA — Tar and gravel roofs have been around for a long time, but in recent years their popularity has waned. This is largely due to aesthetics, with many homeowners choosing to replace their tar and gravel roofs with composition shingles because they like the way they look. However, in some cases this can be a big mistake, because even though a roof may look good, it might not function like it needs to. Residential roofs vary in terms of steepness (or “pitch,” as it’s known in the industry). Roof pitch is expressed as a rise/run ratio. For example, a roof that rises 6 inches for every 12 inches of horizontal run has a 6:12 pitch. Some roofing materials are designed to function within a certain range of pitch in order to meet their intended lifespan. That’s why it can be a problem when a homeowner replaces their tar and gravel roof with shingles, because each of these products is designed to perform at different pitches. To meet shingle manufacturer criteria, a roof needs to be at a pitch of 4:12 or greater to install shingles. However, many homeowners choose to install shingles even though their roofs have pitches of 2:12 or 3:12. 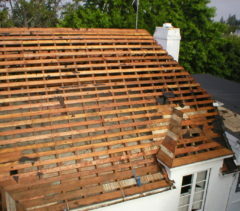 Not only does this void any warranty the shingles might have come with, it often leads to premature failure of the roof. Over time, as rainwater runs down the roof, the shingles will start to settle and “cup” in certain areas, creating a small dam that diverts water to the left and right. Eventually, this water will get into the roof’s seam, seep in the nail holes and, once the nails rust out, make its way into the attic. This chain of events can cause the shingles on an incorrectly pitched roof to fail in as few as 10 years. For this reason, when replacing your roof, it’s important to consider its pitch and install an appropriate product—ideally the one it was originally designed to have. If you have a tar and gravel roof, it’s wise to go with its modern equivalent, known as a “built-up” roof. Instead of gravel, a built-up roof is covered by a cap sheet, which provides a watertight layer of protection and looks a lot nicer.